We offer a comprehensive commercial marine insurance policy designed for boat yards, boat builders & repairers, mooring operators, hire fleet operators, chandlers, brokerages, marinas, sailmakers, holiday accommodation, and all marine trade engineers. With Alan Boswell Group you get the benefits of a local, knowledgeable and reliable broker with a product born of over 90 years of marine experience. We’ll take the time to get to know your business, visiting you, on-site, to advise on appropriate cover, including any speciality types such as cranes, commercial vehicles, legal, directors & officers insurance etc. Our service is provided by experienced professionals and you can relax knowing that every time you need to contact us you’ll be dealing with the same person. Employers’ Liability Employers’ liability insurance is designed to pay compensation to an employee if they are injured or become ill at work or as a result of the work that they do for you. This includes all full-time and part-time employees, as well as volunteers, interns and those on work experience. Public & Products Liability Public Liability covers your legal liability towards any third party should you or your employees cause injury or damage to them or their property. Products Liability works in a similar way in that it provides cover for any injury or physical damage to a third party due to use of or ownership of your product. Property Provides cover for your buildings, contents and stock and can include various items in and around your premises. Marine installations, pontoons, gangways and jetties can also be covered. Business Interruption Designed to keep your business going following damage. Wages, profits and overheads can all be covered when things go wrong. Specified All Risks Insurance designed to cover portable items and business property that you may take away from the premises. Money Protection for your cash and other monies from loss including compensation for anyone attacked or assaulted whilst handling monies. Transit Insurance for your goods whilst in transit, whether in your own or a hauliers vehicle. This products also includes cover for customer’s goods for which you are responsible. Marine Hull Material damage cover for vessels that are owned, operated, or sold, or under construction or repair as part of the business. 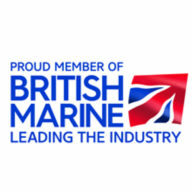 These products have all been combined to give you peace of mind and are perfect for your marine business insurance needs.